If the Ancient Anunnaki did visit Earth hundreds of thousands of years ago… would we not find evidence of their reign on Earth today? According to many authors, proof of the existence of the Ancient Anunnaki can be found all around the globe. In this article, we take a look at the 200,000-year-old ancient city discovered in Africa. Do you believe in the existence of the ancient Anunnaki? Supposedly, and according to some authors, the ancient Anunnaki were (still are?) extremely advanced ‘alien’ civilizations from an elusive planet in our solar system. These mysterious beings came to Earth over 400,000 years ago and kick-started the human civilization. But what are/were the Anunnaki? Are they mere mythological inventions from people thousands of years ago? Or is it possible there is evidence to support that they did, in fact, exist on Earth? Interestingly, if we look back at the countless discoveries that have been made in the last couple of decades, we will understand that history as we know it is completely different from the reality. In fact, countless archaeological and historical discoveries have been made that firmly contradict and challenged mainstream scholars and their views on human origins and history. Each and every time we ‘touch’ the subject of the Anunnaki, we come across mixed feelings from different readers. Many believe these ancient beings did exist on Earth, while others are firmly convinced that the Anunnaki are nothing more that mythological creatures and the result of ancient man’s imagination. Anyone who wants to find out more about the Anunnaki should read the books written by famous writer Zecharia Sitchin. According to Sitchin, the clay tablets describe an alien race known as the Anunnaki, who came to Earth to mine gold. Sitchin practically suggests that extraterrestrial visited earth in the past because their home-planet needed gold to survive. But if the ancient Anunnaki did exist, wouldn’t there be evidence of their legacy on Earth? Well, an ancient city discovered in Africa could prove to be the missing link to the Anunnaki. 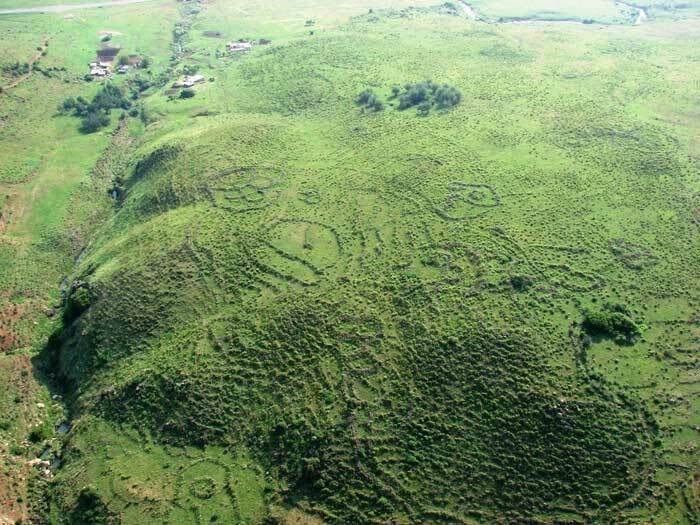 Located around 150 km west of the port of Maputo, Researcher, and Author Michael Tellinger has found the remains of a vast metropolis that measures, according to initial surveys a staggering 1,500 square kilometers. This ancient metropolis is, according to many, part of an even larger complex that encompasses an even greater area of 10,000 square kilometers, but the most fascinating detail about it is its age: It is believed to be between 160,000 and 200,000 years old. Curiously, near these ancient metropolises the presence of ancient gold mines indicates the presence of an advanced civilization that was able to extract gold, in 200,000 BC, for a mysterious purpose. Tellinger explains that this is rather interesting since it shows how a timeworn ‘lost’ civilization, prospered in the region while being capable of extracting massive amounts of gold at several mines in the region, all of this at a time when mainstream scholars are telling us, humans were not developed in order to undertake such ‘sophisticated’ projects. But the question here is… who needed gold in 200,000 BC? How was it extracted and is it possible that the relative vicinity to the sea was the reason why the giant metropolis was erected in the first place? Was gold used in trade and sculptures? Or is it possible – as the Ancient Astronaut Theory proposes – that gold was used in a far more ‘technological’ purpose than what mainstream scholars are willing to accept? Interestingly, we find that some 250,000 years ago, according to Sitchin, the ancient Anunnaki merged their Alien genes with that of Homo Erectus and created a species known as Homo Sapiens, obtaining as a result, a genetically bicameral species. However, humans were a hybrid species and could not procreate. Since the demand for humans as workers became greater, the ancient Anunnaki once again manipulated ancient mankind so they could reproduce on their own. I believe that it certainly is very interesting to read about findings like that of Mr. Tellinger, and other ancient sites around the globe. While it remains a great enigma whether or not the Ancient Anunnaki existed on Earth, and if they intervened in any way with the evolution of the human species, the truth is that many ancient civilizations around the globe show what appear to be links, or clues that possibly indicate a similar source of their knowledge.